There’s probably 1 item in your make up bag that you use every day without thinking about and repurchase on auto-pilot because it is such a staple item. 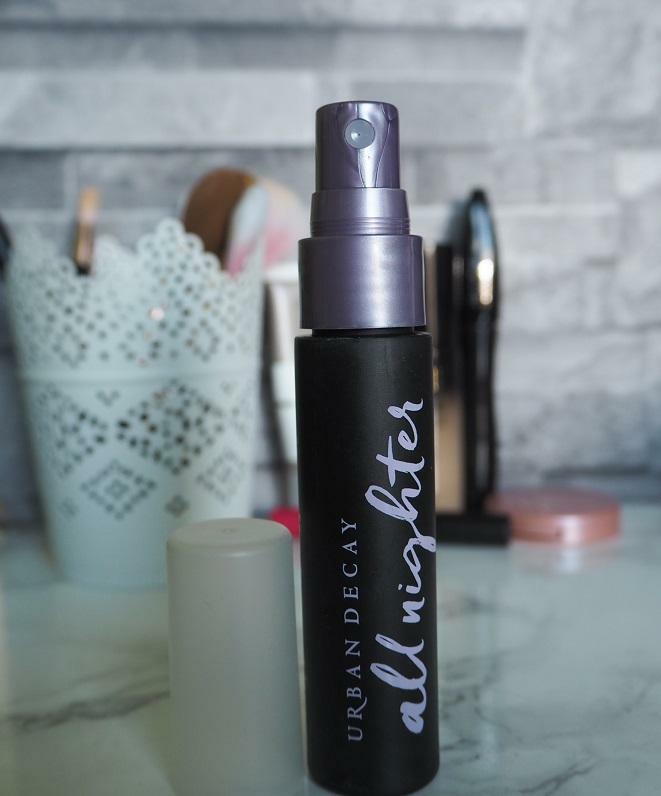 Urban Decay All Nighter setting spray is holy grail for me. It’s the only thing I reach for if I want guaranteed staying power. I can still remember the first time I bought the Urban Decay All Nighter. I was in Middlesbrough Debenhams years and years ago with Daniella from Madame Gourmand and I just thought how can this expensive bottle of water really keep my make up longer? This was before the big explosion of setting sprays and all you really had a choice of was Urban Decay All Nighter and MAC’s Fix Plus. 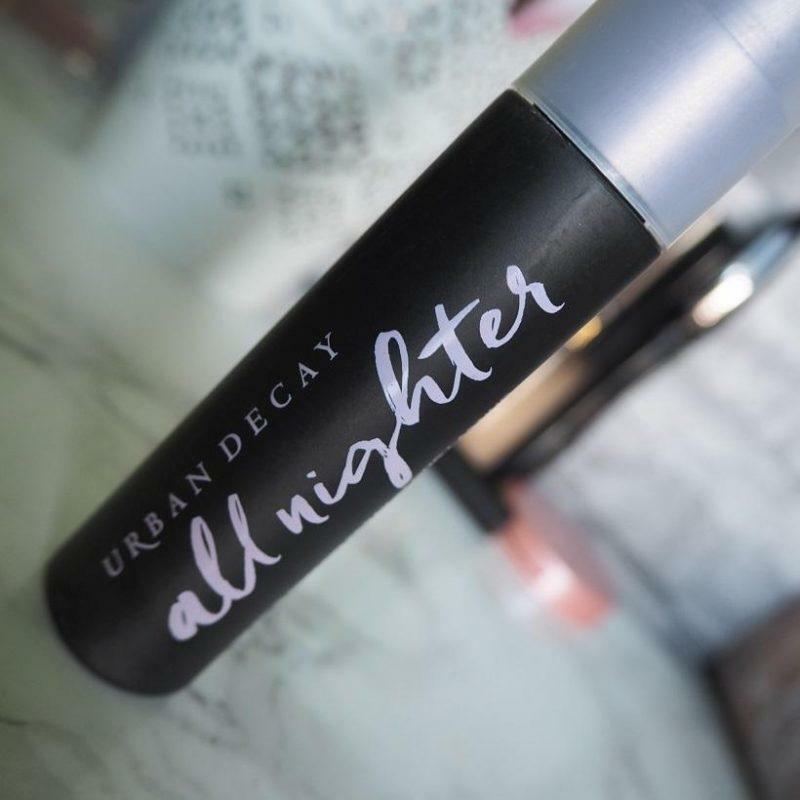 So does Urban Decay All Nighter really work? YES but it really is a product you need to try to feel the full effects of, seeing is believing. I recently got back from not only a hot humid trip to Morocco but an even hotter and humid trip to the deep south of America. Humidity tipping the 90s every day was not going to make any foundation last so I stocked up on my trust Urban Decay All Nighter to see me through. Foundation stayed in place and held the pigmentation well over 8-10hrs in the heat. Blush colours stayed true and all the products stayed where I placed them – that’s the most important part! I did lose some product around my hair line and even the Urban Decay All Nighter couldn’t help but to be 100% truthful, it was from wiping away a very sweaty forehead after a lot of walking in the heat! The setting spray has cooling technology to drop the temperature of the skin. The Temperature Control Technology stops make up from being removed from the skins surface as moisture is lost through the skin over the day. 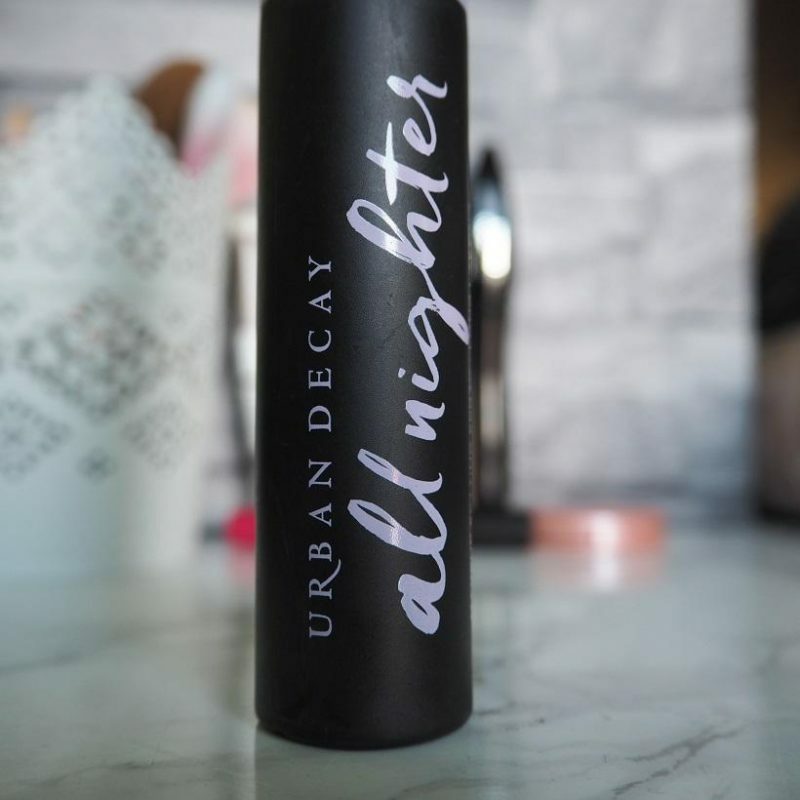 The Urban Decay All Nighter forms a micro veil over the skin to keep moisture in and along with it the pigment and coverage of your products. 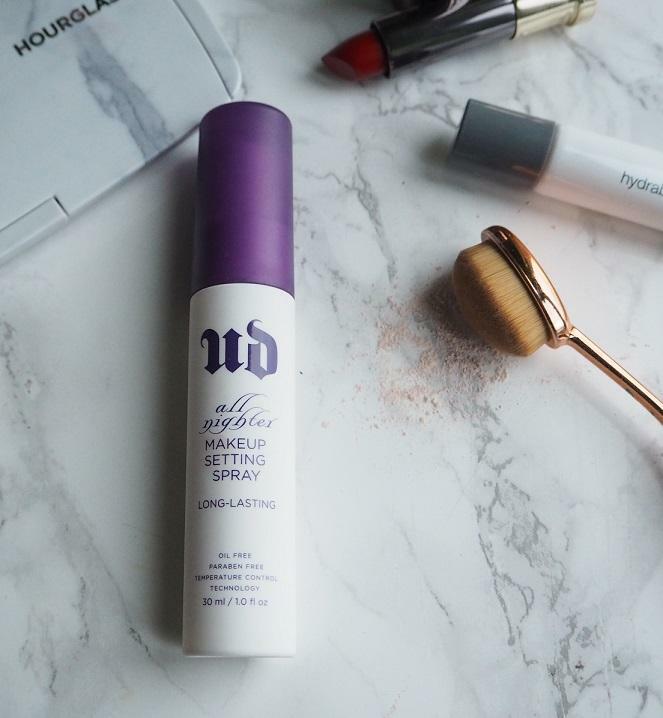 With the hot trend of baking your face, you can sometimes look a little cakey around the eyes and cheeks but a quick spritz of the Urban Decay All Nighter will fix that and have you looking fresh to death. Thanks to the newly revamped packaging, it’s still looking fresh in my make up bag with the sleek new black look. I tend to buy the small travel sized bottles because I know that at any moment they are good to go and sling in to my travel make up bag. Probably the best setting spray I have tried for lasting power and a little goes a long way. Every girl needs this in her make up bag for a flawless long lasting finish! What setting spray do you use?